We saw The Blue Tooth Virgin tonight at a friend's place. It's an indie film about an out-of-work screenwriter who's written a new script and his friend who reads that script and offers criticism. The dialogue and characters in the movie are very well-written - really, the script is great, which is funny since this is a movie about writing scripts. There's a lot of stuff in this movie about why movies get made and how to write scripts. We loved this movie. It was funny and self-referential and true to life. Even the parts that started out strange ended up bittersweetly funny. If you get a chance, see this movie. I especially love the straight skirt version and think that it would suit me. Since I've gained weight, I've gone from being mostly an hourglass shape to decidedly pear-shaped. My shoulders are smaller than my hips, they're rounded, and I've developed fat upper arms that round out even more past my shoulders. The neckline of that dress would both hide the upper arms and make my shoulders look more balanced. 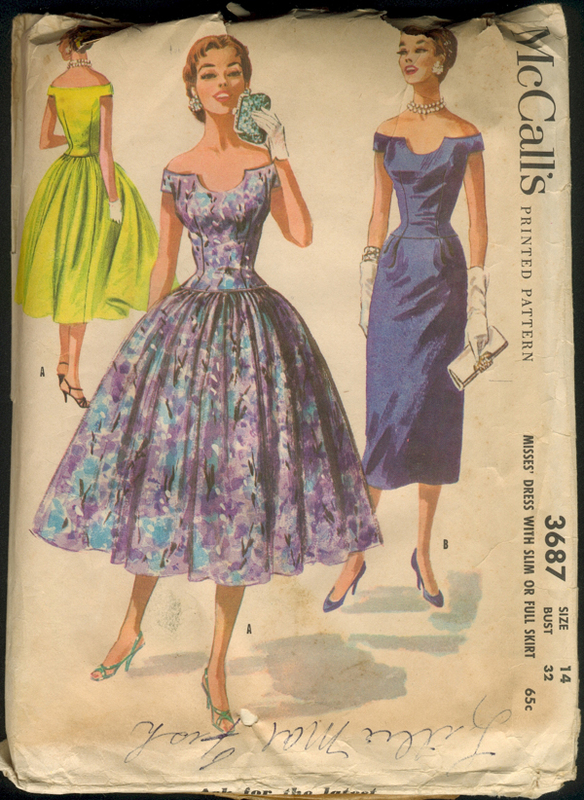 I'm very much looking forward to making this dress. I don't know exactly what I'll make it out of, or for what occasion, but that doesn't matter... this dress needs to be made for me.